The NKF Golf Classic is the Premier Amateur Golf Event for Charity. Each year thousands of golfers from across the country participate in over 30 events for the exciting competition and the chance to qualify for the National Finals at Pebble Beach – all to benefit the leading organization in the U.S. dedicated to the awareness, prevention and treatment of kidney disease for hundreds of thousands of healthcare professionals, millions of patients and their families, and tens of millions of Americans at risk. 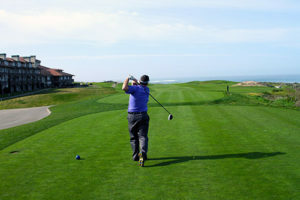 The top-3 finishing teams in both the Gross and Handicap Index Divisions from every local National Kidney Foundation Golf Classic are invited to compete in the National Finals held at the famed Pebble Beach Resorts. The NKFF holds Golf Classics each year in Naples, Miami, and Lakeland.